Born March 14, 1954 in Milford, Connecticut, USA, Raymond Materson grew up in the Midwest. He earned a high school diploma and attended Thomas Jefferson College as a drama and philosophy major, but was plagued by a serious drug problem. To support his habit, he committed a string of robberies with a shoplifted toy gun, eventually got arrested, and was sentenced to 15 years in a state penitentiary in Connecticut. 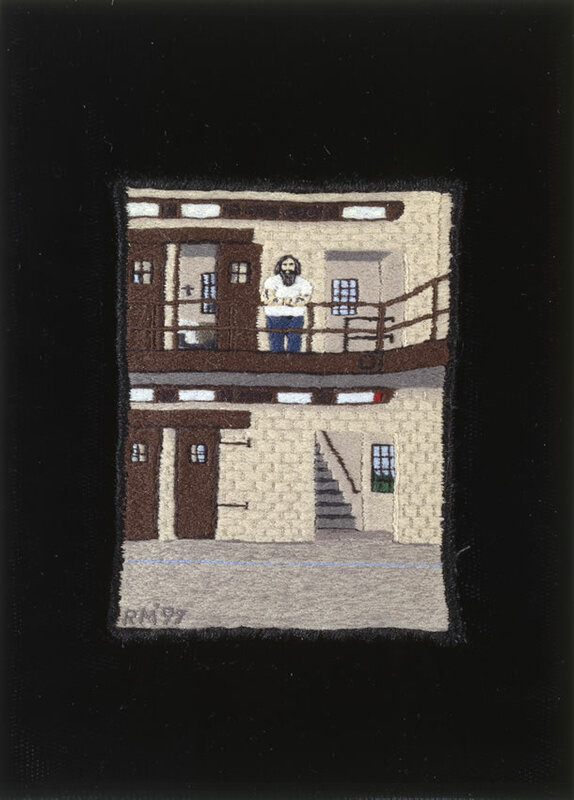 To keep himself sane, Ray taught himself to embroider, using unraveled socks for thread and a sewing needle secured from a prison guard. 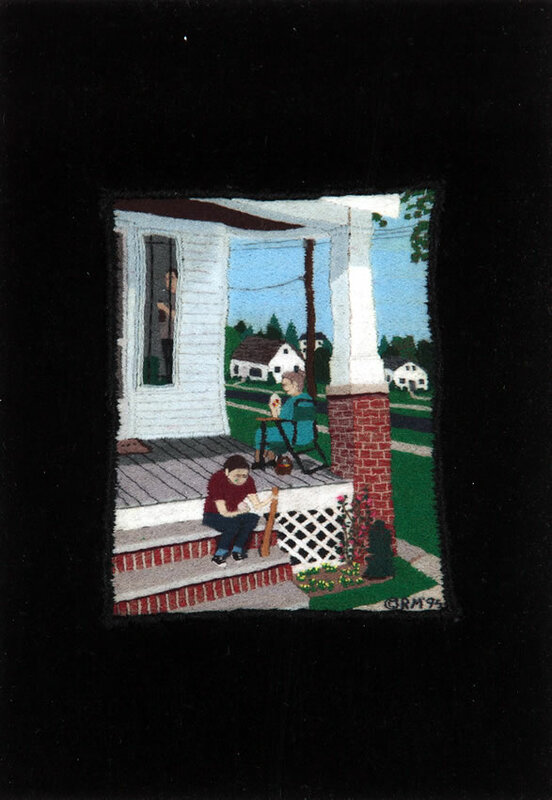 He stitched miniature tapestries depicting life outside prison walls and sold his works to other inmates for cigarettes and bags of coffee. 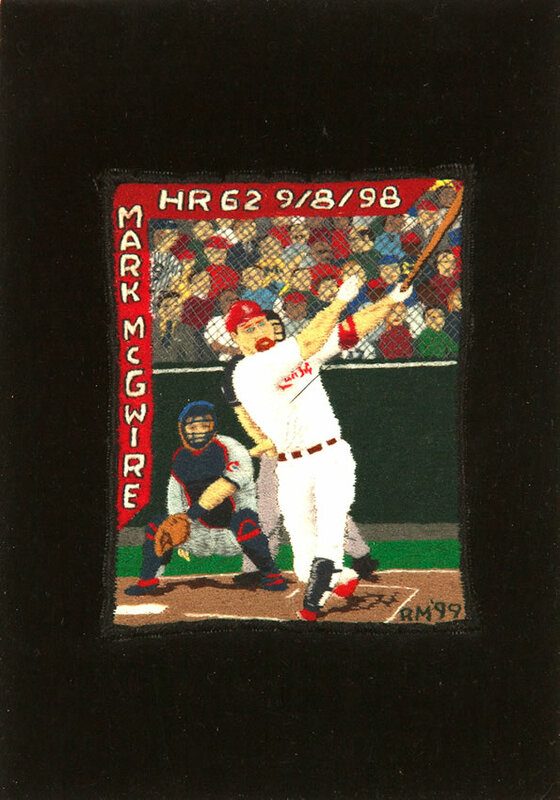 Most of Materson's miniature embroideries include approximately 1,200 stitches per square inch and measure 2.5 x 3 inches. 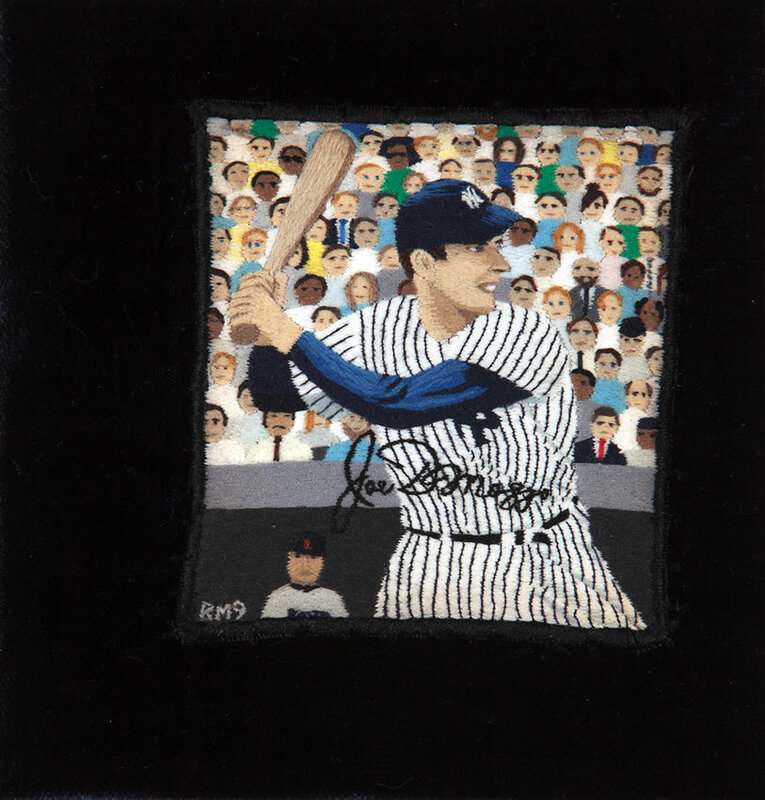 Since his release from prison in 1995, Ray has continued to create his miniature masterpieces and has worked as a teacher, counselor, program director, design consultant and speaker. 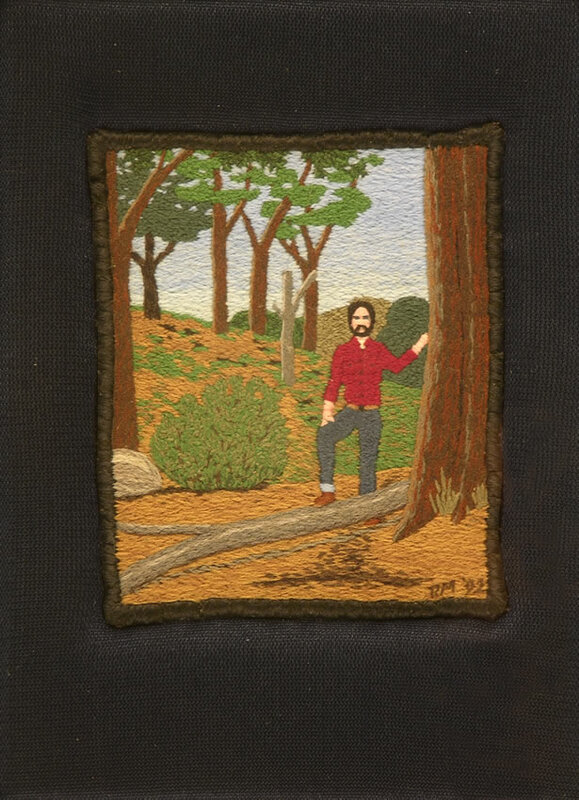 He published an autobiography in 2002: Sins and Needles: A Story of Spiritual Mending (Algonquin Books). In 2003, he became the first artist to ever receive the Robert Wood Johnson Foundation's Innovators Combating Substance Abuse Award. He also received a grant and award from the New York Foundation for the Arts. Materson's work has been featured in numerous exhibitions throughout the world, including Halle Ste. 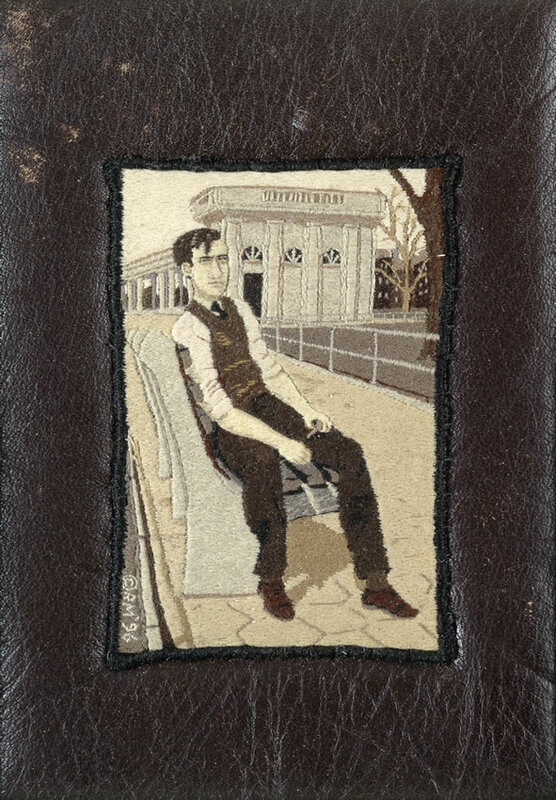 Pierre Gallery in Paris; INSITA 2010 International Exhibit in Slovakia; traveling exhibit of textile art in Lille, France; the Fabric of Myth, Compton-Verney Gallery, Great Britain; American Museum of Folk Art in New York, American Visionary Art Museum in Baltimore, MD; Center for Contemporary Art in Seattle; Boston Metropolitan Museum of Art, and New Museum of Contemporary Art in New York. All images: From the Louis-Dreyfus Family Collection, courtesy of The William Louis-Dreyfus Foundation Inc.